Like most people, I learned to cycle as a child. I think my first bike (at age 6) had ‘Gunfighter’ printed on it, and I remember my older brother telling me that it was the fastest bike in the world (Gunfighter – Westerns), which I believed and told everybody (so why was everybody overtaking me!?). I progressed to a Raleigh Chopper, which was one of the in-bikes in the 1970s, and started riding further afield with friends. At 12 years old I was struck by a brain tumour, and after hospital and rehabilitation I was left with difficulty with movement and my sense of balance. I still believed that I was going to recover completely, and asked my parents to buy me a racing bike for my 14th birthday. It then became very difficult to participate in any sport and it seemed like that was the end of cycling for me. 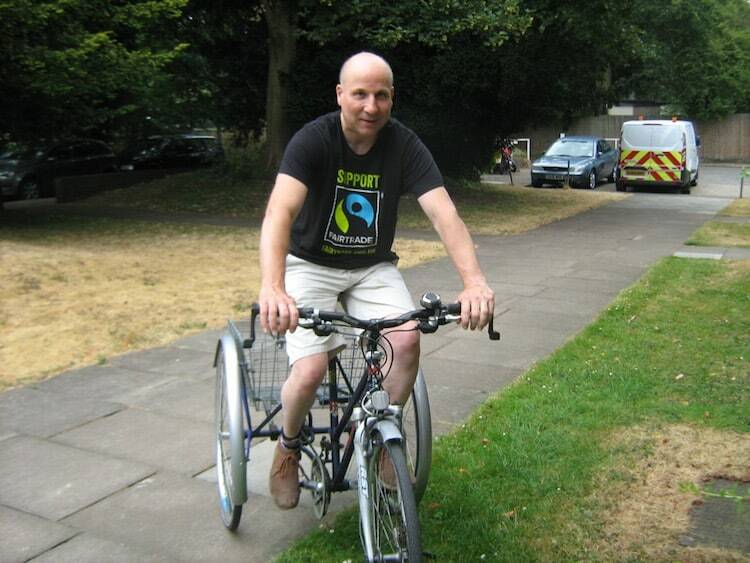 I can’t remember why, but I bought an old tricycle and, when I tried cycling it, it worked – I was able to cycle again! The journey from my first 3-gear trike to my current 21-gear trike has been an interesting one! Being able to cycle has been a huge factor in improving my health, both physically and mentally, and I really enjoy the freedom that it brings. I would advise anybody with a disability not to give up. There are people who can help. 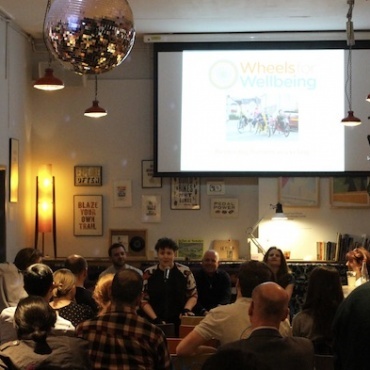 Cyclists with disabilities are growing in number and charities such as Wheels for Wellbeing are available. I first heard of Wheels when working for Lambeth NHS. They came to do a presentation at my workplace and their manager at the time saw my tricycle parked. We got chatting and I was hooked and immediately became a volunteer. Since then I have helped out at events, spoken at meetings, joined rides and raised money for a brilliant charity that can change people’s lives for the better. I suppose that I am blessed in that I am quite a strong-minded person, because there have been some difficult barriers to overcome in order for me to return to cycling. I think the biggest barrier for cyclists with disabilities is the cost of cycles, although a growing market is helping to reduce this. I bought my first trike second-hand for £180 (reasonable for a 3-gear, around town trike). 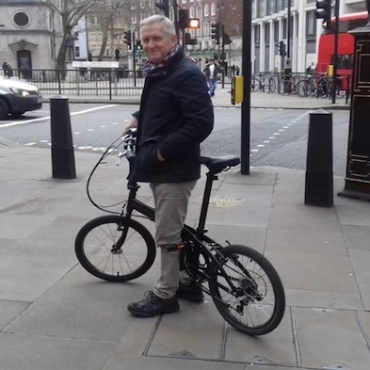 I bought my current trike, also second-hand, for a fraction of the £3,500 the previous owner had paid for it. A second factor is space and safety on the road. Many non-standard cycles are large and need wider and protected cycle lanes. There are many cycle lanes which I am unable to use, whilst painted cycle lanes on a road don’t always stop drivers from driving in them! Thirdly, it’s knowing that there is help and support available. Sometimes you need a stroke of luck to find the right kind of support. I have been stopped many times and have been able to give people advice and information regarding cycling for people with disabilities. May our wheels go round forever! Thanks for a great website. I ride a trike due to MS. I’m keen to find traffic free paths around the UK. 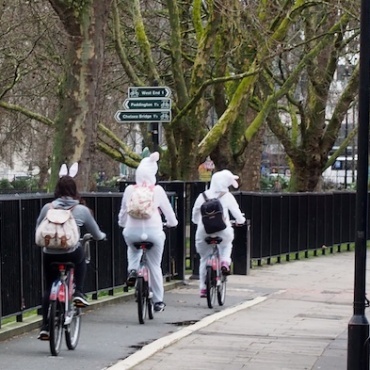 It’s so difficult to plan a route in an area you don’t know as cycle routes online assume you ride a traditional bike. It would be great to have a UK forum for people to share information about accessible routes.